The feud between Gary Player and Robert Trent Jones Junior has flared up again, after a recent interview in GolfDigest with RTJJ. 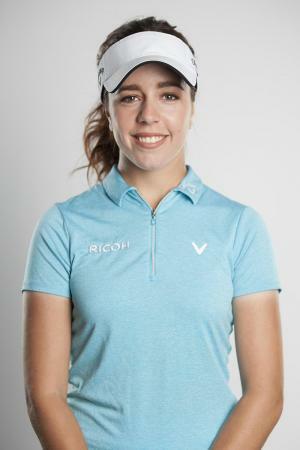 "As we approach the 2017 U.S. Open at Erin Hills, the aftermath of most players’, but especially Gary Player’s, criticism of Chambers Bay, the 2015 venue, has now unfortunately been raised yet again by Robert Trent Jones Jr. nearly two years later. Following an interview by John Strenge with Jones Jr., Golf Digest published an article in which the course designer once again called out the Black Knight for saying what seemed to be on every golfer’s, fan’s, and journalists’ mind when Chambers Bay hosted the U.S. Open – the high standard expected for a USGA Major Championship course was simply not up to par. The Black Knight was in attendance on the USA’s West Coast for the region’s first U.S. Open, walked the course, and saw how it played with his own eyes. 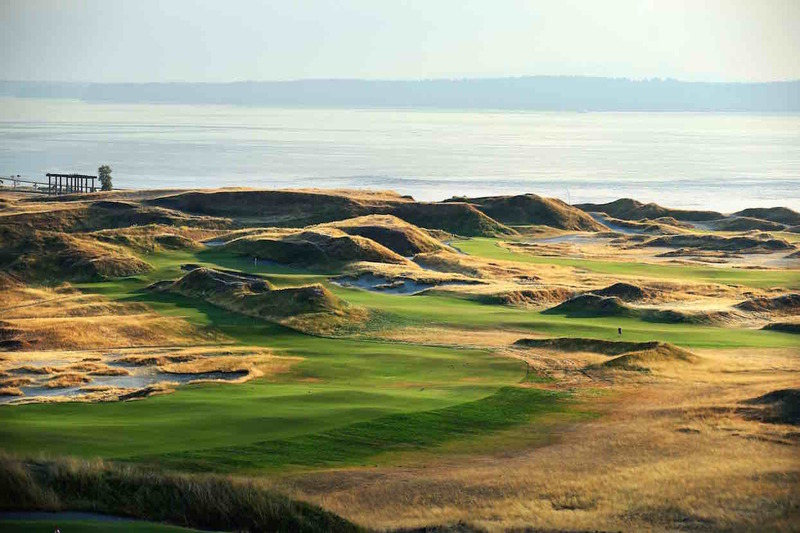 Skepticism of holding the iconic event at an unproven and untraditional venue was warranted as a links style course is rare for a U.S. Open. Unfortunately, the celebration of the 50th anniversary of Player’s career Grand Slam achievement was clouded by his thoughts on the condition and setup of Chambers Bay. Caddies broke bones navigating the terrain, and families struggled to follow the players as many shots were unwatchable on certain holes or were simply not accessible. Jones Jr. showed he clearly cannot accept any criticism and remains overly defensive about his design work. Now here we are just one week before the 117th U.S. Open. And nearly two years later, Jones Jr. proceeded to call Player a “show boater” for his comments, and even questioned Player’s attendance at the Championship and the Olympic Games. Jones attended both events as a fan while Player was there as a past champion and at the Olympics as the Captain of the South African team. For Jones to question why Player was there at all shows disrespect for everything that Golf’s Global Ambassador has done for the golf industry worldwide for seven decades. And who better to speak for all golfers than a Grand Slam Champion and designer of 400 golf courses around the world? If you have ever spoke to Gary Player directly, you know he never is wary of broaching any subject. Jones Jr. claimed Player avoided him at the Senior British Open and later apologized for his comments while both were at the Olympics. This is simply not true. The Golf Digest article decided to leave out part of the quote from Player who started the interview by expressing his gratitude and respect for the USGA. They surprisingly chose not to reach out to Player directly for any comment. Sadly, they used out of context and one–sided quotes to seemingly bring up issues of the past. Interesting that such a leading publication would stir the pot just prior to the U.S. Open. Other legends of golf, including 18-time Major winner Jack Nicklaus, seem to want the USGA to go back to their roots. 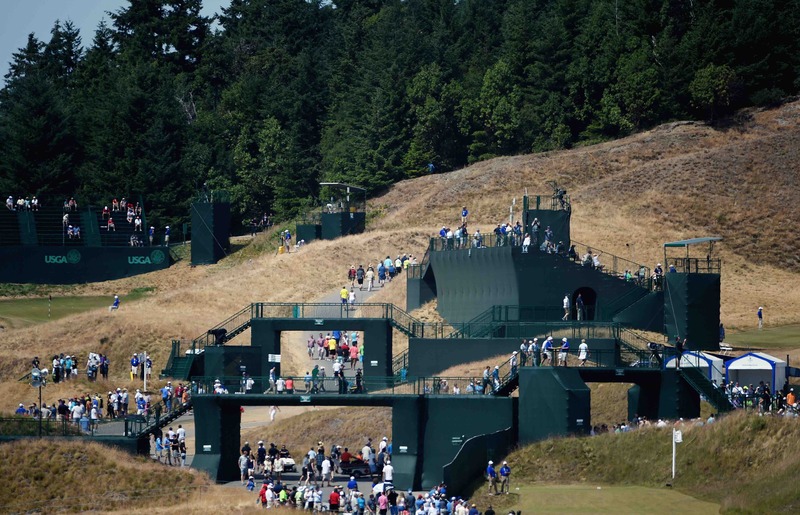 “They’re getting away from that,” said Nicklaus when commenting on non–traditional venues like Chambers Bay." I'm with Gary Player on this one, the course looked like a municipal one in need of repair. Jones Jr just can't take criticism well, seems to throw his teddy out of the pram too often.